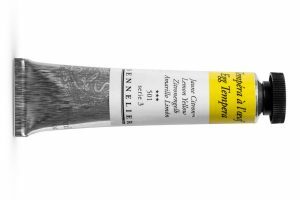 The complete range of 32 Sennelier Egg Tempera extra fine colours and mediums, in 21ml tubes. 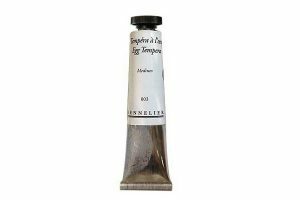 Sennelier Egg Tempera is an authentic formulation of classic egg tempera as used by artists since the Renaissance. Before the rise of oil painting, egg tempera was the predominant painting medium in the 16th century. Much of the religious panel painting done between the 12th and 15th centuries was done in this delicate and subtle medium, which is capable of detailed and complex effects. Egg tempera is a semi-opaque, water-soluble, permanent painting medium, wonderful for fine art painting, restoration and icon painting. It is perfect for oil painters who need a highly pigmented, fine art colour alternative to oil painting and its solvents. Its archival characteristics are excellent and do not age or yellow like oil paints, as evidenced by lasting luminosity and beauty of Renaissance paintings. Egg tempera is bound with a centuries-old egg emulsion recipe, giving a satin-matt finish that is water resistant when dry. The delicate colours hold their brush strokes, and do not change when dry. They can be worked with a brush or a palette knife (diluted with water) on non-greasy supports like acrylic-primed canvas or paper. Preliminary sketches can be drawn on canvases, followed by oil paints. Pronounced impasto techniques are not recommended for egg tempera. It is recommended to give a finished egg tempera painting a coating of charcoal or pastel fixative before applying a final oil paint picture varnish.